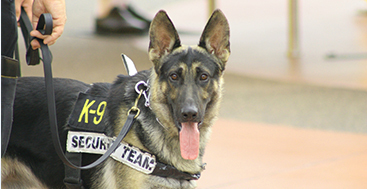 What are the benefits of our K-9 dog service? K-9 drug dog detection allows for a fast facility-wide assessment, compared to independent or random drug testing which has a per employee cost and extensive compliance requirements. Private K-9 drug detection is legal and effective. When dogs detect the presence of the drug odors, the discovery of such can be managed at the discretion of the management or parents responsible. Private K-9 drug detection removes drugs from the premises. Possession is a clear reminder and indicates the intent to use or distribute. The ‘Drug Sniffing Dog’ service provided by RK Agency, an independently owned and operated organization that features certified handlers and K-9’s who are dedicated to providing a unique and thorough (Private) Narcotic search service. Our K-9’s are carefully selected and trained to be able to work in homes, schools and workplace environments. When a RK Agency sniffer dog detects the odor, it is trained to locate, it lets the handler know it’s there by giving the alert signal. RK Agency uses both aggressive and passive alert detector dogs. The dogs utilized are trained to detect the odor of drugs including marijuana, cocaine, heroin, and methamphetamine. When you need a confidential drug detection service for your home, our narcotic detecting dogs can discreetly perform a thorough inspection of your entire property. Our dogs are trained to locate the odor of drugs (e.g., marijuana, cocaine, heroin, and methamphetamine), so those with concerns about the presence of drugs can deal appropriately with the situation whatever the findings. K-9s always drive in an unmarked vehicle and RK Agency handlers can provide advice and referral to other services when appropriate. A drug-free school helps to maintain a drug-free lifestyle. RK Agency’s drug sniffer dogs provide detection services in campus hallways, lockers, social areas, locker rooms, gyms, parking lots, and dorms. Annual contracts, monthly, quarterly or random searches – all can be arranged on an as needed basis for trips or emergency situations. 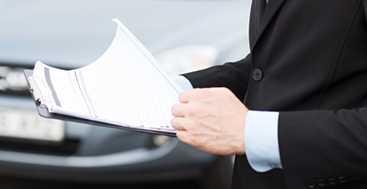 We will create a deterrent service based around your needs and tailor accordingly. 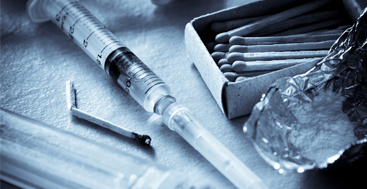 Businesses and employers have a legal obligation to make every effort to maintain a drug-free working environment, which presents a challenge at the best of times. While drug testing for hiring and random checks are acceptable practices, drug detection dogs provide a much less invasive method. RK Agency’s service provides a simple, efficient, facility-wide search that is cost effective and non-disruptive. By implementing random periodic visits it creates a strong deterrent against anyone selling or using drugs in the work place. We provide inspection in all common areas, lockers and parking lots, as well as warehouses, offices, and desks. If an illegal substance is discovered, the location is highlighted to the appropriate individual for further inspection. Our service creates a program of intervention that can help reduce claims expense and improve workforce productivity.